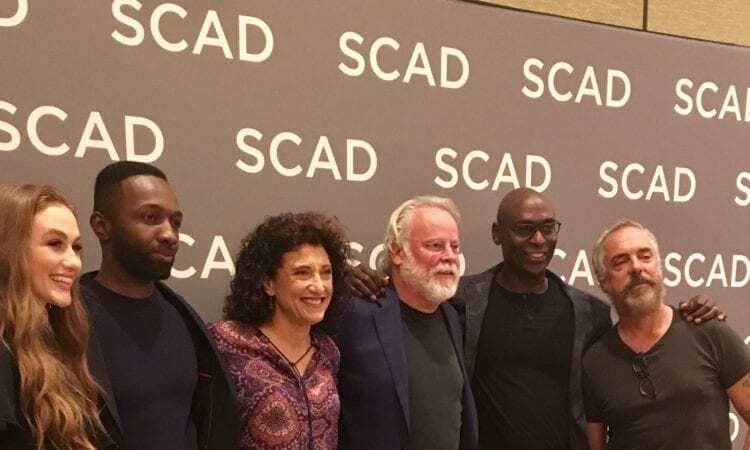 Creator Michael Connelly and the cast of Bosch attended the SCAD aTVfest 2019 in Atlanta. Students, faculty, and local Bosch fans were treated to the first episode of upcoming season 5 at the SCADshow theater as part of the SCAD aTVfest 2019. The new season of the popular Amazon Prime Video series will officially debut later in the spring. The cast and Connelly then appeared on stage to talk about their work on the show. The Q&A session was moderated by Hunter Harris of Vulture magazine. Additional questions were fielded from the audience. Here are highlights from the event! The Bosch cast has completed 5 seasons of the popular drama series. Cast members and best-selling author Michael Connelly shared a great rapport on stage, making jokes and recalling shared experiences. Titus Welliver plays the show’s namesake Harry Bosch while Madison Lintz shines as his daughter Maddie Bosch. The two make a great pair on screen as well as off. Welliver reminded the audience on several occasions of Lintz’s affection for the Harry Potter novels by J.K. Rowling. He joked that early on Madison wanted her character to do magic. Titus also revealed that he claims residence in the Hufflepuff house of Hogwarts. The series is shot on location in Los Angeles. Welliver referred to the City of Angels as the “central character” in the show. He described shooting the series as you would a feature film but with the tighter schedule of a television series. He recalled long days on set in “not so glamorous locations”, but is proud of the authenticity that comes from shooting on location. A SCAD student asked Michael Connelly about the challenge of bringing the books faithfully to screen. The author and executive producer described the show as “loosely based on the books”. He claimed that his real passion is for the characters themselves, not necessarily the exact story line from a particular novel. Another audience member acknowledged the phenomenal casting choices for the characters. Speaking of source material, the fifth season of Bosch draws from the novel Two Kinds of Truth, one of Connelly’s more recent books, just prior to the latest books introducing new character Renee Ballard. The cast also talked about adapting each season to a new timeline depending on where the story picks up. Amy Aquino, who plays steadfast Lt. Grace Billets, pointed out that the viewers have to adjust as well. She also made a funny remark about “how cute” it would be if fans really only watched one episode per week when the season is released, knowing that most fans embrace the binge mentality of the streaming platform. Aquino, a dog lover, was thrilled to make note of their being not just one, but two dogs in the season 5 premiere. That’s all I can say about the episode except that it was phenomenal! Bosch certainly boasts serious subject matter, but the panel format allowed for some lighter, funny moments as well. One of the biggest laughs came when the cast was asked if the heaviness of their characters ever bleeds over into real life. SCAD aTVfest 2019 runs through Saturday February 9th. 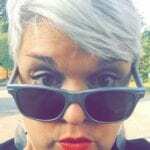 Venues include the SCAD Atlanta campus and the SCADshow theater. The SCAD Atlanta campus offers students studies ranging from film production to costume design to animation, and much more. Learn more about SCAD and the full schedule of festival events at aTVfest.com.